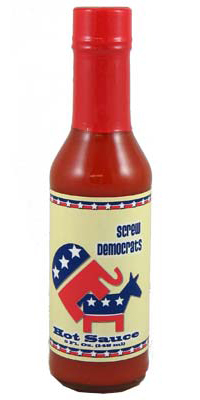 Screw Democrats Hot Sauce if you are fed up with politics, and who's not, this is your sauce. Also available in Screw Republician. Choose you poison! 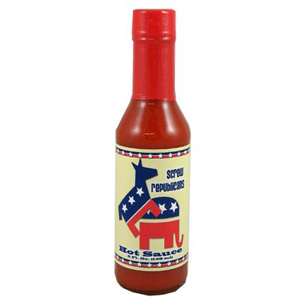 This is a bi-partisian sauce! Don't intend to open it and use it, but it's a great conversation piece with my friends! 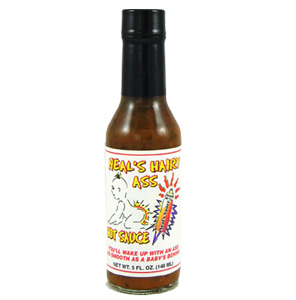 I got a few of these hot sauces for Christmas gifts and the recipient went nuts over them. He opened them and used them on Christmas to spice up some dishes! The service was unbelievable, fast, and such a great company. I HIGHLY recommend them! I just can't say enough!